Pic: Lebanese Prime Minister Saad Hariri during a press conference in Beirut, capital, October 20, 2016. Lebanese Prime Minister Saad Hariri has reiterated from France that recent Israeli actions reflect a desire for future conflicts with Lebanon. "I believe that Israel is the one who wants to launch a war against Lebanon and not Hezbollah." Israel does not want the Arabs to rest - see the Israeli daily violations of our airspace, our lands and our territorial waters, "the Lebanese premier said Sunday. , According to the French television network France24. 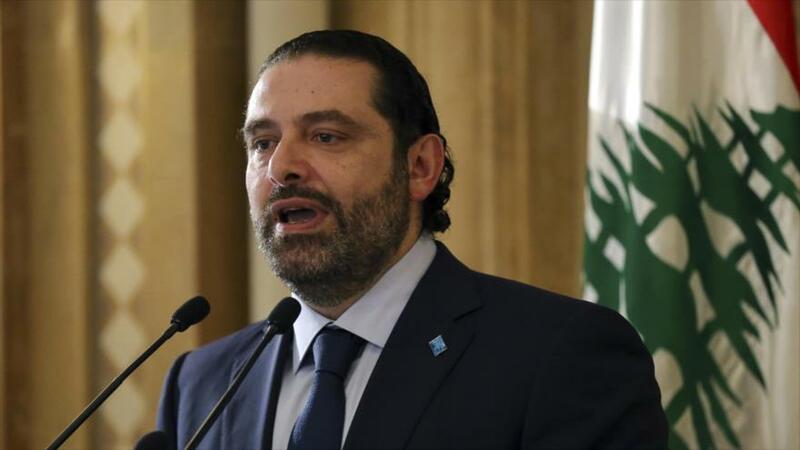 Hariri made the remarks on his arrival in Paris, the French capital, a trip he has held to meet French President François Hollande on Monday as part of a European visit. The premier in this way publicly defended that he does not believe that the Islamic Resistance Movement of Lebanon (Hezbollah) causes a conflict with Israel, quite the opposite. Israeli Prime Minister Benyamin Netanyahu said on Sunday they would test his new David's Sling anti-missile system, reportedly designed to intercept Hezbollah missiles.